You make poor decisions when your judgment is compromised. Hunger is a primal urge that is difficult to deny. When you are famished, it is hard to hold off until you can find healthy food. As a result, you end up eating anything that is not nailed down, and typically, regretting it after! Planning meals and snacks works wonders to head off the intense hunger that can do a number on your best intentions to eat right. Always carry a healthy snack with you just for those moments where you must eat something. Don’t skip meals or skimp on them, either. Everyone has a calorie budget, whether you’re trying to maintain your weight or lose a few pounds. I’ve found that people ignore this simple fact. Your calorie allowance allows you to build a healthy diet, and it helps prevent frustration about weight control. Your recommended daily calorie intakes is based on gender, age, height and physical activity level. When you know your recommended calorie allowance, then you can plan on how many servings of fruits, vegetables, whole grains, low-fat dairy, and other protein sources to include every day. Take our 2 day free trial to see what your recommended calorie allowance is. People are notorious for overestimating how many calories they burn during physical activity, which is often far less than actual calories burned. When you overestimate the calories you burn during exercise, you may eat more than you need, making weight loss and maintenance difficult. High-intensity exercise may drive you to eat more, and moderate exercise may be the key to easier weight control. 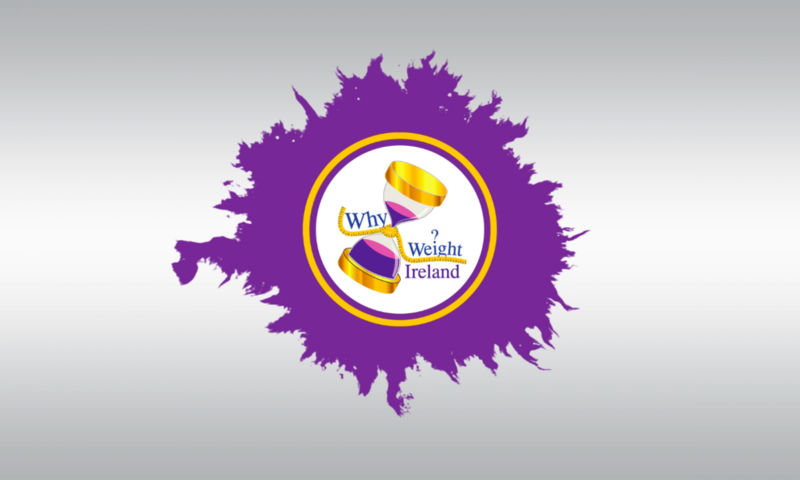 To see how many average calories you’re burning during everyday activities and exercise, add your exercise into the ‘exercise section’ of your Why Weight Ireland® food & exercise diary. You can see how easy it is to wipe out the calories burned during a workout with just a few extra nibbles during the day. At each meal include one food that is any of these colors. By focusing on these foods, you’ll be sure to get some produce on your plate and won’t have space on your plate for higher-calorie foods. PLUS: Colourful fruits and veggies help your skin look healthier and younger! Water is essential for keeping the body hydrated and we’re actually more likely to retain “water weight” by not drinking enough of it rather than by having too much. The needs of each person will be different, but the general recommended daily amount is 8 glasses. It also takes up space in your stomach so you’ll feel fuller while taking in less calories. Salt is a big contributor to weight gain and often a reason why the numbers on the scale aren’t going down. The average person consumes twice the amount of salt they should have each day, leading to weight gain, bloating, and the inability to lose stubborn pounds. Salt can also make you feel hungrier and thirstier, so check the nutrition labels for high sodium levels and choose fresh over packaged or restaurant foods. You’ll see a puffy face and belly go down quickly just by cutting back on your sodium intake and choosing more natural foods. By keeping food within eyesight as you are eating, you may find yourself reaching for a second helping even if you really aren’t hungry. Place the food on the kitchen counter, portion out a serving on your plate and then sit down at the table and eat. This way, if you want additional servings, you’ll have to get up, which helps you to be more mindful of what you are eating. We know you’ve heard this time and time again. Well, that’s because keeping a food record is vital to losing weight and keeping it off long term. Those who keep a regular food diary lose twice as much weight as those who don’t. When keeping a food diary, make sure to track what you ate, how much you ate, anything you added to the food (condiments, oils, etc. ), and what you drank. Also tracking your mood and appetite can be helpful and insightful into learning about your eating patterns as well! Besides keeping track of your food intake, it’s equally as important to keep track of your exercise amounts. Rapid eaters are often heavier than slow eaters. It takes 20 minutes for your stomach to send a message to your brain that you have eaten enough and are satisfied. If you rush your meal and eat rapidly, your body’s overindulgence cues won’t be tuned in to those feelings of fullness yet and it’s easier to overeat. Try slowing down by chewing each bite more, putting your fork down in between bites, and enjoy a relaxing eating environment rather than eating on the run. Even the most motivated and focused dieter will struggle to be successful at weight loss once hunger takes over. Our bodies secrete a hormone called ghrelin (hunger hormone), which controls hunger and drives our appetite. If we don’t understand, monitor, and control our ghrelin, we can forget about losing weight. Science tells us that the best way to control ghrelin is to eat small, balanced meals about every 3 hours or so. That’s because ghrelin will spike after about 3 to 4 hours of fasting, so eating with regularity helps keep this eating trigger at bay. Ghrelin will also spike if we’re deprived of carbs, so it’s important to give our bodies and brains the carb fuel they need. When we skip meals or avoid carbs, we’re inviting ghrelin to spike, which increases and makes us feel emotionally hungry. It makes us crave sugar and can derail even the healthiest eating routine. It’s a myth that you’ll gain weight as a direct result of eating after 7 p.m. I see & talk to so many busy people, and they often get home late. This doesn’t mean that they should skip dinner if they’re trying to lose weight. Many times, people stop eating by 5 p.m., which results in overeating the following day. This cycle is not ideal as it shuts down your metabolism. You should eat 70% of your calories before dinnertime and 30% at dinner, whatever time that may be. Just give yourself at least 90 minutes to end your meal before you plan to go to sleep. You need at least 90 minutes to digest so you can sleep comfortably. When it comes to weight loss we need to devote 80% of our efforts to nutrition and 20% to exercise. One way to do this is to schedule time and make a date with your supermarket and kitchen. Restaurant dishes are almost outside of your control, and the fact is, most times, those outrageous portions come loaded with salt and fat. Start cooking at home to better monitor your calorie intake. Schedule a day, like Sunday afternoon, to pre-cook for the week. Plan to roast a whole chicken. Cut up a batch of vegetables—like squash, peppers, eggplant, and sweet potatoes—toss them with a little olive oil and roast them in another pan alongside the chicken. Boil a pot of brown rice. Do all of this simultaneously and it should only take about an hour. Now you have the makings for Monday’s burritos, Tuesday’s stew, Wednesday’s pasta dish, and so on. Each working evening, you should only need about 15 minutes in the kitchen to put it together—less time than you might spend heating up a fat, salt, and sugar-filled frozen pizza! This may seem obvious. After all, you have to breathe no matter what, right? But few of us breathe deeply or consciously. Think about it: when was the last time you took a long, slow, deep breath, and slowly let it out again? Deep breaths of that kind take you out of your immersion in momentary stress, oxygenate your brain and tissues, and they help to reduce stress hormones. Take breathing breaks throughout the day, or, better yet, pair those breaks with a quiet walk to disassociate from the stress. Just a couple of minutes of walking, a few long, deep breaths, and you will start to see the results in your body. Don’t arrive at a big meal, event, or party starving. You are almost 2.5 times more likely to start off overeating starchy carbs, fried or cheesy foods than those who didn’t fast before the meal. And, you’ll be more likely to eat more calories of that first food before switching to healthier alternatives. Have a light snack before you go to an event so you don’t arrive ravenous. The elastic waistband is the dieter’s fashion enemy number one. When you wear clothes that fit well and make you feel good, you have awareness gauges that give you clear signals to help you put on the brakes as you fill up. Use this as a way of staying mindful of your goals and to help keep you from overeating. Instead of using words like “fat,” say “fit”; change “can’t” to “can”; “weak” to “strong”; “unhealthy” to “healthy.” It takes practice but it can start to rewire how you think about your health and weight goals. New research commissioned by Special K surveying over 1,000 women, found that 9 out of 10 women who have a positive attitude about weight management reported either losing or maintaining their weight in the past year versus only about 50% of those with a negative attitude. And beyond being more successful, those with a positive attitude were eight times less likely to report having gained weight than women who think negatively. A few months ago I posted about a study published in the British Journal of Nutrition where they tracked the diets of nearly 900 adults and found that when people ate more fat, protein, and carbohydrates in the morning, they stayed satisfied and ate less over the course of the day than those who ate their bigger meals later on. Unfortunately, many people start off on an empty stomach. In one survey, consumers reported that even when they eat in the morning, the meal is a full breakfast only about one-third of the time. If you’re feeling full-blown hunger before noon, there’s a chance you’re not eating enough in the morning. Aim for a minimum of 250 calories and aim to get a serving of protein in so you’ll feel fuller longer. Make a point of getting to bed earlier and you’ll prevent yourself from all the late night eating. Recent research I read found even just a few nights of sleep deprivation can lead to almost immediate weight gain. Scientists asked participants to sleep about 10 hours a night for two days, followed by five nights of sleep restriction and four nights of recovery. After the 11 days, the sleep-deprived group gained almost 3 pounds, compared with a well-rested control group. Follow my best weight loss tips and you are sure to be on the right track to hitting your final goals. 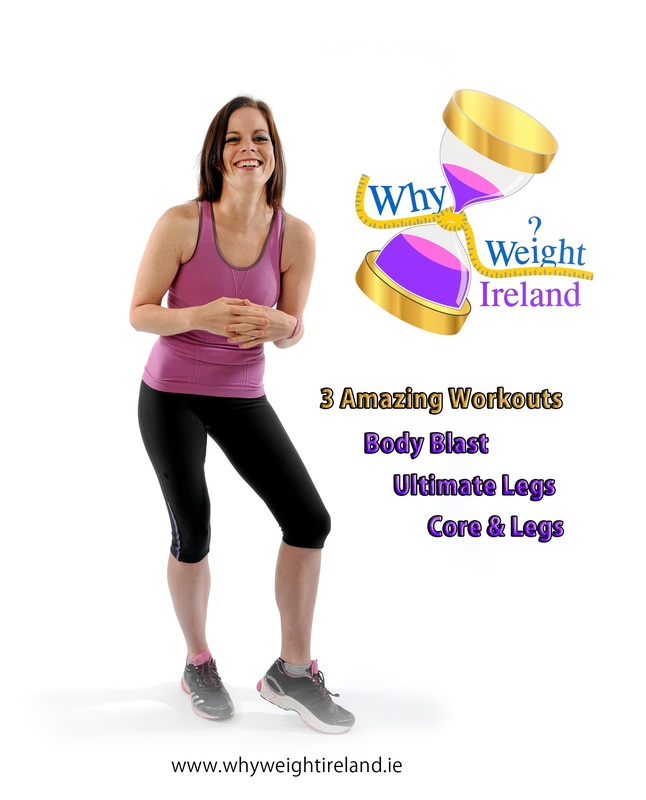 If you are looking to lose weight then try Why Weight Ireland®, you won’t be disappointed.